He had been fighting for his life for a week. 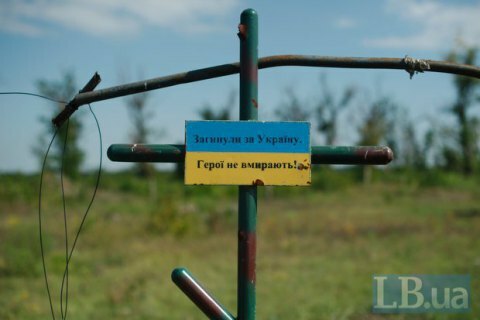 A Ukrainian serviceman who was wounded in the antiterrorist operation (ATO) area on 19 August died in Kharkiv on 27 August. "Over the past day, fortunately, none of Ukrainian servicemen has been killed or wounded in combat. However, on 26 August, during treatment in Kharkiv, one serviceman succumbed to wounds which he sustained near Krymske on 19 August," the Defence Ministry's spokesperson for the ATO, Oleksandr Motuzyanyk, said at a briefing on 27 August. The ATO HQ update for 19 August mentioned one wounded serviceman only. Poroshenko: Ukraine finally breaks away from "evil empire"
President warns opposition against crossing "red lines"